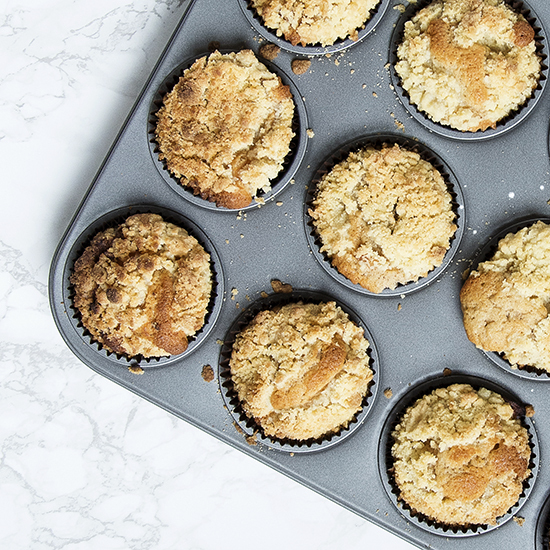 The best of both worlds, apple crumble cupcakes! Autumn is definitely on our doorstep, I can’t believe how cold its gotten so fast! And I still haven’t used up all the damn apples. I’ve made apple crumble twice already this month and I thought it needed a shakeup. Apple crumble is a very autumnal dessert it makes you feel warm and comforted and these may be my all time favourite cupcakes. 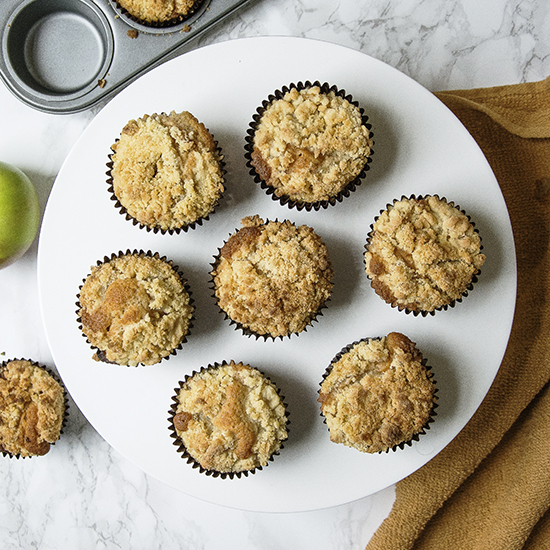 Cupcake at the bottom, soft spiced apples in the middle, topped with crisp sweet crumble, what’s not to love. I’m still trying to find uses for all of the apple from the tree that blew off in the storm so if anyone has any ideas for apple recipes they would be very welcome, and to add insult to injury the pears on our pear tree are starting to ripen so I am about to be overloaded with those too. Note: your cake batter may burst through the crumble topping, its totally normal, to stop this you need to add a good inch of crumble to the top of the cupcake but I find that this can be too much and hard to eat so I use less and deal with the leakage. Your choice. Pre heat your oven to 170C, and line a 12 hole cupcake tray with cases. In a bowl using an electric whisk, cream together the butter and sugar until pale and fluffy. Add in one egg and one tablespoon of flour at a time, whisking well between each until combined. Gently fold in the flour, adding the spices and vanilla stirring well. Add the milk and stir until the mixture is all combined. Set aside. Peel, core and chop the apples into rough 1cm chunks. In a medium pan over a medium heat, melt the butter and add the apples, cook until soft stirring regularly. About 10 minutes. Once the apples are soft add the remaining ingredients, stirring well for a further 5 minutes over the heat until combined. Set aside off the heat whilst you make the crumble. In a bowl add all of the ingredients, rub the butter, flour and sugar between your fingers until the mixture resembles breadcrumbs. Transfer the cake batter to the cupcake cases, distributing the batter evenly between the cases. Spoon one heaped table spoon of the apple filling on top of the batter and spread out lightly ensuring that the filling evenly covers the batter. 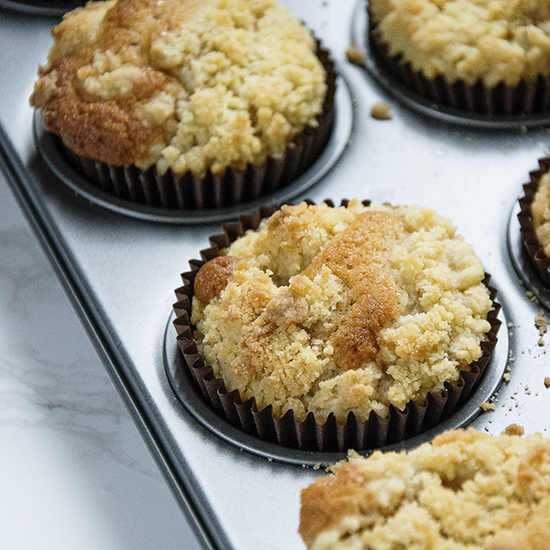 Add one heaped table spoon of crumble to each cupcake ensuring the apple filling has been completely covered. If you need to add more please do. Bake in the oven for 30 min or until the crumble is golden brown. Transfer to a wire cooling rack to cool and serve. And there you have it, my best of both worlds apple crumble cupcakes. If you try these let me know how they go by tagging @whatseatingmanchester in your social media post! Don’t forget to check out my blog and Pinterest for more baking inspiration. Looks delish! Raccoons ate all of our apples. No lie! I caught them on video. Next year I’m netting my trees. I don’t think anyone is having any luck with Apple this year 😂 we don’t have raccoons in the UK but they would have been welcome to them. Wow, yum! This looks amazing! 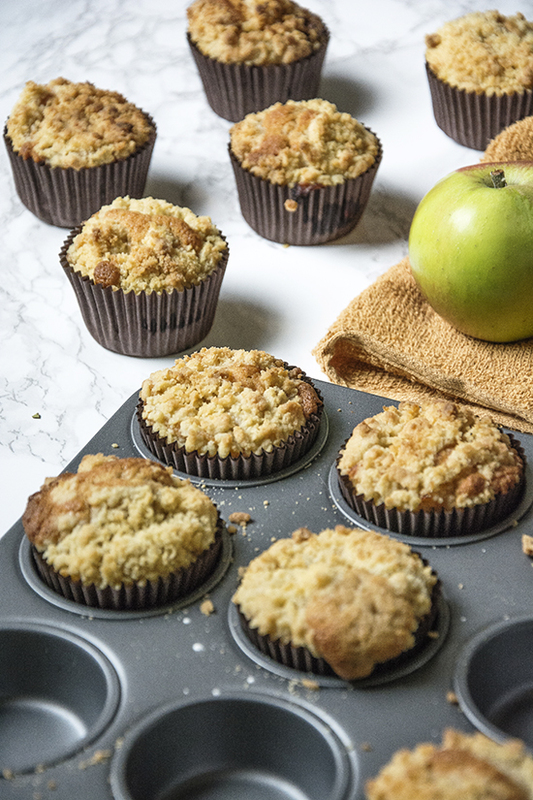 LOVE the idea of turning apple crumble into cupcakes! These look way too good Sarah!! Oh my! These look scrumptious! My name is Aly and I would like to know if you would have any interest to have your website here at whatseatingmanchester.com promoted as a resource on our blog alychidesign.com ?